Fascinating individuals and events that shaped a 19th Century Central Florida Paradise - CitrusLAND. On February 15, 1864, as a small regiment of Florida’s 2nd Calvary made their way to Olustee Station near Lakeland, they happened upon the enemy at Gainesville’s rail yard. Civil War archives describe the incident which followed as minor, but what happened at Gainesville that day forever changed the tiny Orange County start-up village named Orlando. About a hundred Union soldiers snuck into Gainesville that day in 1864, intent on capturing a Confederate train. As they were preparing to do just that however, the Calvary showed up, and Florida’s Home Guard boys became intent on denying the Union any success. When gunfire finally ceased, several Union soldiers had been taken prisoners, two of Florida’s Calvary had suffered minor injuries, and another, Captain John R. Worthington, lay seriously wounded. Orlando’s first-ever Postmaster and proprietor of a boarding house located on Lots 2 & 3 of the village, John R. Worthington of Florida’s 2nd Calvary, died February 16, 1864 at Gainesville. A half dozen or more versions of Orlando’s origin have surfaced over the past 160 years, and one such version was that the town was founded by “Postmaster Worthington.” Having his name on the list of potential “founders” is understandable, for the first documented evidence of the town’s name is found in U. S. Post Office archives. That record reflects the Orlando Post Office was established September 19, 1857, and that the first postmaster was John. R. Worthington. Despite being of age in 1856, Worthington was not listed in the roster of Orange County Militia that year, suggesting he had not yet arrived when the Militia was organized. John and his family were living in Augusta, GA in 1850, so the South Carolina native appears to have moved to Orlando after 1850, and likely during the year 1857. 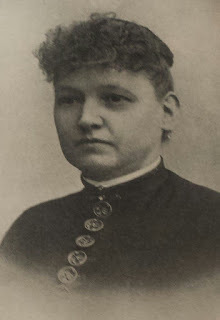 He is found in 1860 Orlando as a Widower, residing with three children: Daughter Henrietta (age 14); Son William Milton (age 16), and Son B. McGee (age 12). A family of six at 1850 Augusta, the Worthington’s were a family of four by 1860. By the end of America’s Civil War, Henrietta Worthington, by then living at Mellonville, would be the sole survivor of one of Orlando’s early founding families. 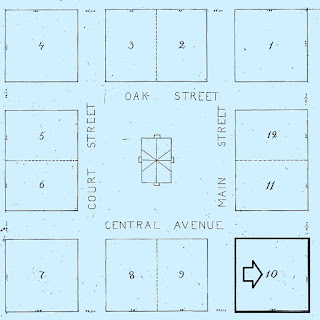 Benjamin F. Caldwell of Talladega, AL gifted the entire four acres of Village of Orlando, except Lot 10 (Part One), to Orange County for a courthouse on the 5th of October 1857. Later recorded deeds establish John R. Worthington built his home on Lots 2 and 3 by 1861 – but the land was technically owned by Orange County. Henry Roberson had opened a store on Lot 1 by 1861 – on land also owned by Orange County. An 1858 James Yates deed (Part Two) mentions “J. R. Worthington’s land,” in a vaguely worded legal description. That same year, on August 13, 1858, another vaguely worded legal description was signed by “John & Linney Patrick”, conveying 113.94 acres to John R. Worthington. So, by 1858, James Yates, John R. Worthington and John Patrick all had ties to the exact same parcel. But so too did Benjamin F. Caldwell of Talladega, AL. The individual most often cited as the founder of Orlando, (or connected somehow to the town founder), Ben Caldwell received a homestead deed in 1860 - for the same 113.94 acres Worthington bought from the Patrick in 1858. To qualify for a homestead deed however, one had to live on the land five consecutive years – suggesting Benjamin F. Caldwell lived on his homestead beginning in 1855. We know he did not! (Slightly different in wording, the deed descriptions are the same. The acreage difference likely had to do with a one acre “Free Church Site” of 1857; the four-acre Village of Orlando of 1857; and that odd one-acre Needham Yates parcel of 1858 mentioned in Part Two). The overlap of ownership is verified by a mortgage dated November 7, 1859, in which John R. Worthington secured a $675 loan from Palatka merchants Teasdale & Reid. John R. Worthington used his Village of Orlando land as collateral. The mortgage, issued prior to the land office deed of 1860 to Benjamin F. Caldwell, was still unpaid in 1867 when Robert R. Reid submitted the low bid at a Sheriff’s auction to buy the entire 113 acres village of Orlando. John R. Worthington (1820-1864) had married Frances McGee (1820-1859) on the 13th of April 1841. The couple’s first child, Henrietta, was born the next year. Frances (McGee) Worthington was dead however prior to the 1860 census. Several months prior to John R. Worthington being killed at Gainesville, FL in 1864, his 18 years old son, William Milton Worthington, died of “disease” at Jacksonville’s Camp Finegan (Many a soldier who died during the Civil War died of just such a cause). The youngest boy, Burrell McGee Worthington, named for his Maternal grandfather, vanished by 1868. John Worthington didn’t make it to Florida’s most famous Civil War battle. He died on the way, but the son of a prominent central Florida founder did participate in the Battle of Olustee. Arthur Alexander Speer, eldest son of Dr. Algernon & Christiania (Ginn) Speer of Mellonville, fought in and was injured during the battle. Arthur was discharged as a result, and he returned home. Arthur A. Speer, in 1870, married the sole-surviving member of one of Village of Orlando’s first families, Henrietta (Worthington). Henrietta & Arthur had four known children: Christiania, born 1871, named for Arthur’s mother; Arthur Ginn Speer, born 1872, named for Christiania’s father, Arthur Speer’s grandfather and planter of central Florida’s first commercial orange grove; Milton A. Speer, born 1877, named for Henrietta’s brother who had died of disease in the Civil War; and Ella Louise Speer, born 1881. Arthur A. Speer died at Sanford in 1889 at age 50. Widow Henrietta (Worthington) Speer moved away from central Florida soon after, and she died at Birmingham, AL 1922, at the age of 80. 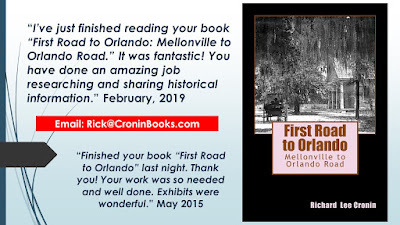 “First Road to Orlando” is a history of the old Fort Mellon to Fort Gatlin Road and of how a tiny village in the middle of a remote wilderness became the Orange County seat of government. This Orlando Founding Families delves deeper into the courageous pioneers who found their way along a lonely dusty forts trail – to become the first families to settle at Orlando. I have used the word mysterious often when writing about the origin of ORLANDO and do so for good reason. I believe this ‘Orlando Founding Families ‘series will establish that such a description of the city’s earliest days is indeed accurate. The story of Orlando reads much like a Whodunit Novel, with ‘it’ referring to which pioneer was most responsible for the making and naming of Orange County’s Seat of Government. A variety of surnames have long been bantered about by historians as the town founder, names such as Speer, Caldwell, and Worthington the Postmaster. But what about other early residents of Village of Orlando, like maybe Overstreet or Yates? Or more specifically, James Yates, Jr.? Orlando’s hub of 1881 (above) embodies that which I’ve dubbed Orlando’s mysterious origin. 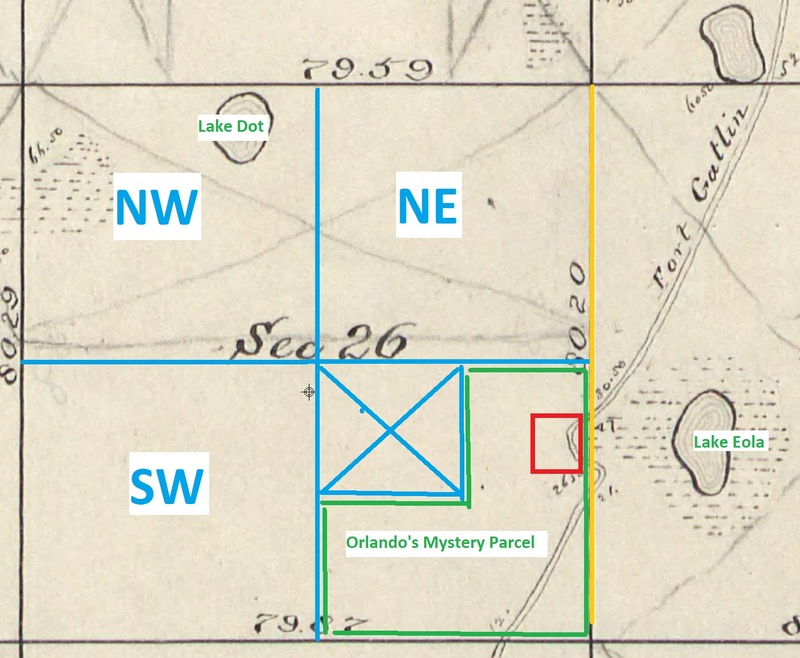 Extracted from two pages of an 1881 Plat of Orlando, and to support my “mystery” supposition, I’ve cut and pasted a portion from each page of the city’s center, or that area today located at the crossroads of Central and Magnolia Avenues. It’s called Heritage Square today! I added the red, green and orange on the above plat. The rest is as shown on the plat recorded with the Orange County Clerk of Court in 1881. 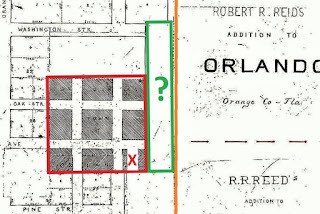 The heavy shaded tic-tac-toe board (red square) is the 417’ x 417’ original “Town of Orlando,” actually called out as such on the survey. The red ‘X’ was lot 10, Henry Overstreet’s store (Part 1 of last week). The orange perpendicular line highlights the Section 26 (left) and Section 25 (right) surveyor division line. 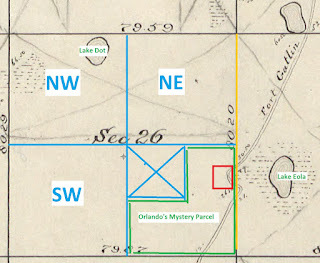 Historians have long agreed that the entire four (4) acre 1856-57 Village of Orlando was in Section 26 of Township 22S; 29E, and it appears that way as well on the plat. But what is the narrow space outlined in green? A narrow slice of land 127’ wide by 479’ long, much of this slice is now the Orange County Library, but how did this parcel fit in with Village of 1856-57 Orlando? The answer, James Yates, Jr. and his brother, Needham Yates! Cattleman Needham YATES recorded an Orange County deed in 1853 conveying 200 head of cattle to four children: William; John; Joseph and Amelia. Two years later, James Yates, Sr. is found on recorded Orange County deeds. The county’s 1856 Militia included James Yates, Jr., (age 33); Henry Yates, (age 30); William B. Yates, (age 30); and Needham Yates, (age 17). 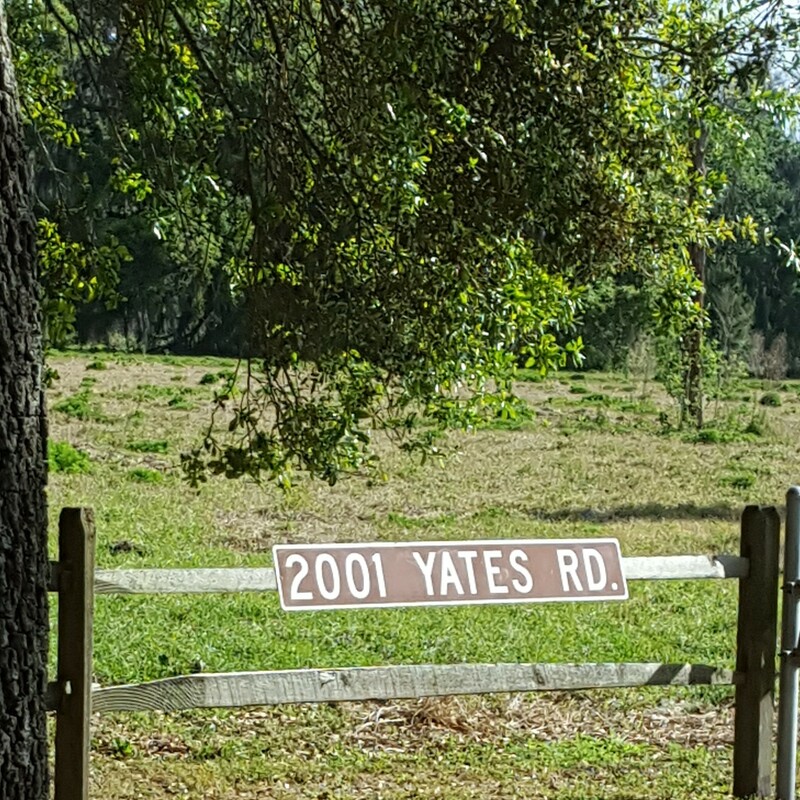 So, as these deeds reflect, the Yates family was in the Orlando area even before the village was founded in 1856-57. In an 1858 deed, James & Mary Yates conveyed a tiny sliver of land to Needham Yates, land described as: “One lot of land bounded on the north by a lot owned by James Yates, on the east by Section 25, on the south by J. R. Worthington’s land, on the west by the village of Orlando, and situated in Section 26, T 22S; R 29E.” This is the same land as outlined in green above! Of interest in the 1878 deed is a comment about James Yates owning land north of the parcel he conveyed to Needham, land that today would be north of Washington Street. James Yates still owned some land in Section 26, as it suggests, even after deeding part to Needham Yates. Witnessed by J. R. Worthington and James Overstreet, the deed was recorded three days later by Clerk of Court James P. Hughey. 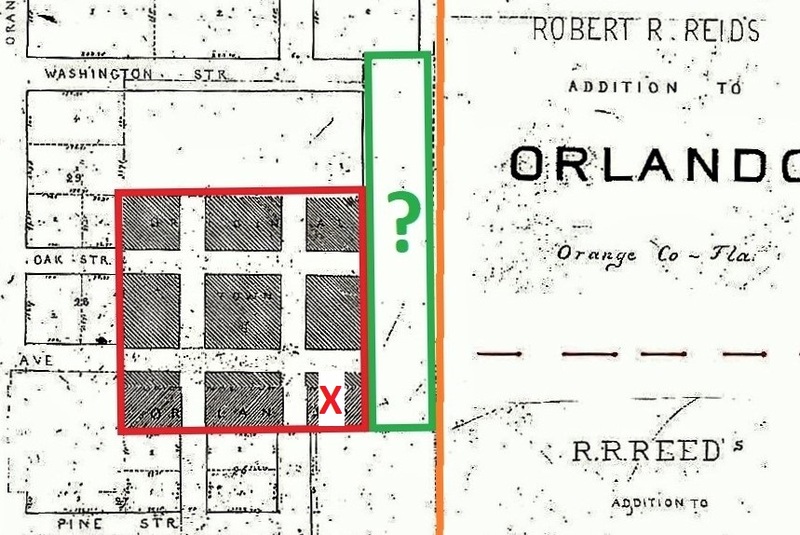 Later documents clarify that the parcel is one and the same as that outlined in green, raising more questions about James Yates’ relationship to the founding of Village of Orlando. The original 1846 survey, shown above, and like the plat earlier, has been altered by adding color to highlight certain areas. The orange perpendicular survey line again separates Section 25 from Section 26 (Section 26 is left of the line). The one-square mile Section 26 has been further divided into four equal quarters, (NW, NE, SW, and SE). We are interested however only in the lower right “Quarter,” or as surveyors referred to it, “the Southeast Quarter”. 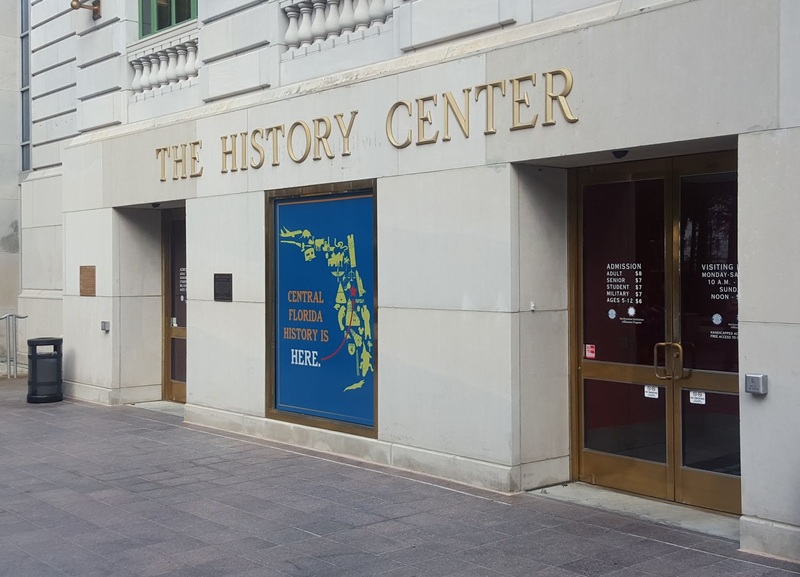 Orange County voters decided they wanted their courthouse built somewhere inside the one-mile square Section 26, and within that square mile there was only one road – a short stretch of the old forts trail, passing through the southeast quarter of that section. Confused? First, the “2 roods and 16 perches” parcel was the very same land as that outlined in green on the first plat above. The four acres exempted is the area outlined in my red square, and the exact same land Benjamin Caldwell of Talladega gifted to Orange County on the 5th of October 1857. And so yes, you have good reason to be confused! The 1878 deed, meant to clarify, only makes matters worse, for it suggests James Yates, Jr. owned all land surrounding the 1856-57 Village of Orlando at the time the town of Orlando was formed. The document suggests Yates may have sold to Caldwell – through Speer, while other documents contradict such a suggestion. UCF History Professor Paul Wehr, author of “From Mosquito to Orange County,” published in 2016 by Pine Castle Historical Society, stated: “Section 26 comprised about 640 acres, but until 1856 no private individual held any claim within its bounds and upon which no one resided except, perhaps, squatters.” Does this comment suggest James Yates, Jr. was a Squatter? Orange County’s 1860 census found James Yates, Jr. age 38, and wife Mary, age 34, as residents of Orlando. Parents of three children, James and Mary Yates were shown as natives of Georgia, while their children: Agnes (age 14, named for her grandmother); William H., age 10, and Eliza, age 6, were each listed as born in Florida. Barely a town in 1860, Orlando was more the location of two stores along a 25 mile, Fort Mellon to Fort Gatlin Road. Orlando was all but abandoned when America’s War of Rebellion began in April 1861, and the families of Yates and Overstreet moved further into Orange County’s wilderness. Keeping their cattle hidden from expected Union ‘poachers,’ wanting to cut off Confederate food supplies, was likely their primary reason for moving deep into the cypress swamps of Shingle Creek. By war’s end, Yates and Overstreet had both abandoned Orange County's seat at Orlando for homesteads on Shingle Creek. A Shingle Creek Post Office was established November 10, 1873, by Clement R. Tiner, husband of Mary Jane Yates, the granddaughter of James Yates, Sr. A niece of James Yates, Jr., Mary (Yates) Tiner was the daughter of deceased Needham Yates, killed in the 1870 Barber - Mizell feud. Meanwhile, back at Orlando, a big mess was boiling over. Palatka merchant Robert R. Reid had traveled from his home to Orlando on the 7th of January, 1867. He was in Orange County to attend a sheriff’s auction, held on Orlando's courthouse ‘step.’ At that auction, Reid entered the successful low bid of $900, thereby earning him the deed for 114 acres in the southeast quarter of Section 26. The Sheriff described the land auctioned off as belonging, “to the estate of J. R. Worthington, deceased, 114 acres.” The question now becomes, how did Worthington get the land Robert R. Reid bought at auction in 1867? That's where we pick back up next week! This Orlando Founding Families delves deeper into the courageous pioneers who found their way along a lonely dusty forts trail – thereby becoming the first families to settle at Orlando. 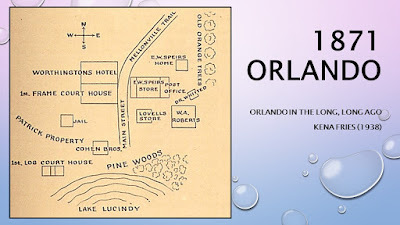 ORLANDO’S story kind of began in 1856. The idea of such a town likely began years before, but not until 1856 was Orange County introduced to the 417’ X 417’ square want-to-be town. Four acres in size (417’ x 417’), the square town consisted of four streets: two running north-south, and two running east-west. The streets formed sort of tic-tac-toe board. 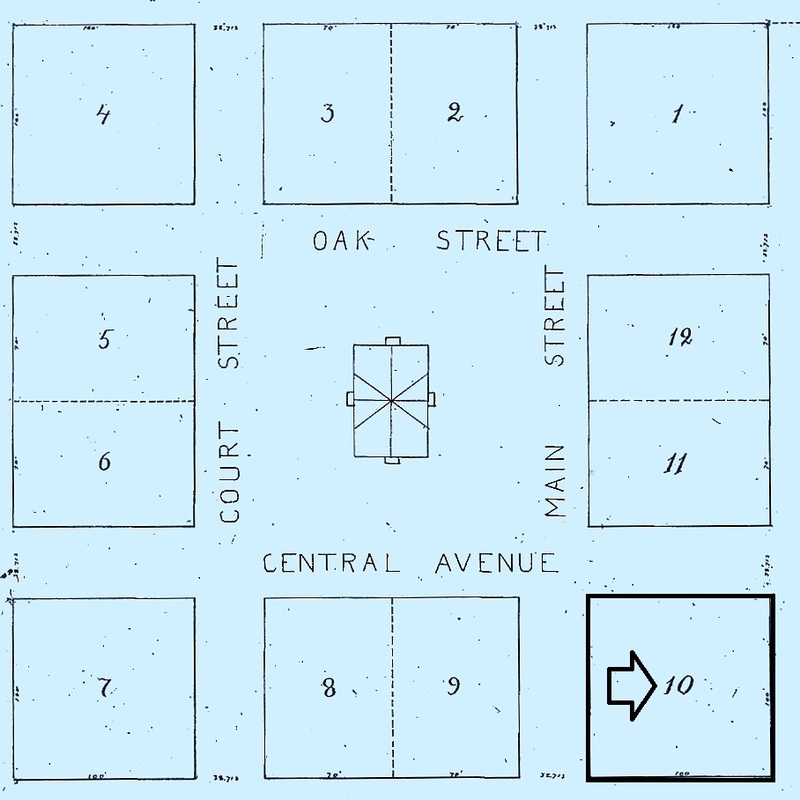 12 city lots were sketched around the perimeter, surrounding a very small courthouse square. Of the man donating this land to Orange County there were only two requirements: First, the village had to be named the County Seat. Second, the town had to be named, ORLANDO! Historians have typically told of the town’s Lot 10 merchant, David W. Mizell, but he was not the city’s first merchant, nor was he the first merchant at Lot 10. David W. Mizell acquired the lot (today the southeast corner of Central Avenue and Magnolia), on the 12th of December, 1859. Mizell paid Henry & Mary Overstreet the sum of $209.87 for the land as well as “all of the goods and merchandise.” Merchant Mizell therefore bought the store of merchant Overstreet. Because Mizell didn’t buy until 1859, Orlando’s mysterious Lot 10 likely originated with Henry C. Overstreet, (I say likely because some cattle wrestlers burned down the courthouse in 1868, and many of the earliest deeds went up in smoke). Still, Lot 10 is indeed a mysterious parcel. I know its old news to write about Benjamin F. Caldwell of Talladega, Alabama donating four acres in 1857 for a courthouse,” but you may not know the whole story of that transaction. For starters, the statement is not correct! Benjamin F. Caldwell of Talladega, Alabama signed a deed which stated: “Town Plat of the Village of Orlando, the county seat of Orange County, State of Florida, containing four acres, more or less, excepting Lot No. 10 in said plat, which lot is hereby not conveyed.” So, Caldwell donated less than four acres – because lot 10 was not part of his land gift. But why was one of twelve town lots specifically excluded? One possibility is that a general merchandise store already occupied the land area that then became lot 10. Another important fact worthy of mention is where lot 10 was located in the overall scheme of 1856 Orange County. Note in the map above that ‘Main Street’ ran north and south alongside Lot 10. The dirt road called Main Street was in reality the Fort Mellon to Fort Gatlin road first established as a military trail in 1838. By the 1850s this route was called Mellonville Road. After the Civil War, David W. Mizell conveyed his store to his son-in-law, E. W. Spier, shown as such on the 1871 sketch above, on the east side of Main Street. Years before, like in 1856, the 25 mile long Fort Mellon to Fort Gatlin Road was a lonely trail having only ONE store south of Fort Reid at Mile Marker 2 – and that ONE important general store, at Mile Marker 22, belonged to Merchant Henry C. Overstreet. Overstreet family legend says Henry Overstreet arrived in Florida in 1856. Orange County’s 1860 census supports this claim, for of the family of 10 in 1860, all but two were natives of Georgia. Henry and Thomas were both listed as born in Florida, in 1856 & 1860 respectively. The Overstreet family is also wrongly shown as residents of Brevard County. Although listed with the Brevard census, the family post office address, as shown below, was Orlando. Merchant Henry Overstreet is the perfect place to begin this Orlando Founding Families series, and for a variety of reasons. His arrival in 1856, together with his 1859 deed to David W. Mizell, helps piece together a complicated origin for this place called Orlando, FL. Twenty-three years after his arrival, in 1879, a then Orange County Commissioner Henry Overstreet signed yet another deed, this one attempting to clarify the four acres: “upon which the courthouse stands.” Even this Orange County Commissioner’s deed however only adds to Orlando’s mystery. Henry Overstreet is also a great place to start the story of Orlando because, as father to a dozen central Florida offspring, he and wife contributed as well to expanding the area’s population. Born October 11, 1821 at Swainsboro, Emanuel County, GA, Henry Overstreet married Mary Cowart in 1843 prior to relocating to Florida. He settled first at the Village of Orlando, but as the Civil War began, the village was all but abandoned. Perhaps desiring to get as far away from any civilization as possible, as if Orlando of 1860 could be deemed civilized, the Overstreet family relocated again, this time even deeper into the wilderness of Orange County. While living at Orlando during the 1850s, merchant Overstreet and James Yates, Sr. had been neighbors. The two families then became Shingle Creek neighbors. Orlando Founding Families next Friday continues with Part II: Patriarch Yates of Orlando. CAUTION: Long-time central Florida Overstreet families could be lineal descendants of Moses Overstreet, also of Georgia. He arrived at Orange County after the Great Freeze, began buying up thousands of acres, and established Overstreet Turpentine Co., Overstreet Crate Co, and Overstreet Investment Co. Henry and Moses had different parents, so any family ties between the two would be either a second or third generation relationship. GENEALOGY: Orlando’s Henry & Mary (Cowart) Overstreet, after moving further south from Orlando, founded Shingle Creek United Methodist Church on their property. Still part of Orange County at that time, Henry died at Shingle Creek on November 23, 1879. Osceola County was carved from Orange eight years after his death. 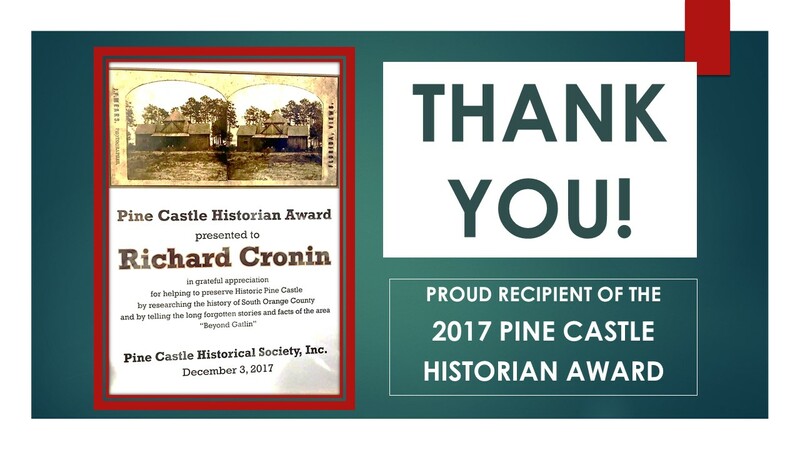 This Orlando Founding Families delves deeper into the courageous pioneers who found their along a lonely dusty old forts trail – and became the first families to settle at Orlando. Valeria’s death at age 83, in faraway Forrest County, Mississippi, on the 25th of June, 1953, begs the question, did anyone recall at the time that a 19th century memorial to Valeria Gertrude (Henry) Baker still existed back at Lake County, Florida? Today, departing northwest from Lake County’s historic town of Mt Dora, requires driving old Route 441 alongside railroad track first laid down in the 1880s by Leesburg & Indian River Railroad Company. An expansive Lake Dora appears on the left, or south side of your drive, while on your right, or north, a glimpse of Lake Gertrude appears. “Doc Henry,” as locals soon came to know the Georgia native, planted the first orange grove in Mount Dora in 1873. William, wife Mary Jane (Lea), and their three year old daughter Valeria Gertrude, settled on a 147 acre homestead along the west shore of a then unnamed lake on their property. William & Mary Henry sold a ten acre chunk of that homestead March 28, 1884, describing the parcel sold as being located on “Lake Gertrude.” The Henry’s had granted Leesburg & Indian River Railroad permission to cross their property in December of 1882. When the Henry family arrived in 1873 the nearest post offices were Lake Eustice (sic), opened by James Hull on May 15, 1871, and Fort Mason, opened September 24, 1872. It would be another four years before Augustus & Olivia Pendry built a hotel fronting on Lake Eustis, opened the Pendryville Post Office, and named a lake on their property for their daughter, Grace Olivia Pendry. Florida native Nettie Morin, born 1880 to Philias & Charlotte (Dowling) Morin on the family homestead near today’s town of Eustis, was the namesake of Lake Nettie. All three Lake County lakes are still known by the names the parents of three daughters gave to each lake nearly 140 years ago. Nettie Morin of Lake Nettie moved away from Lake County. She became a school teacher. Grace Olivia Pendry of Lake Gracie married Clifford Crandall, moved back to her parent’s home State of New York, but died at Bradenton, Florida in 1964. Valeria Gertrude (Henry) of Lake Gertrude married Benjamin Thomas Baker, a native of Mississippi, and she relocated to Mississippi, where Valeria Gertrude (Henry) Baker died, June 25, 1953. Not every lake was named for a daughter of a 19th century homesteader, but you now know of at least three that were. Deeds transferring ownership of the Henry parcel of 1884, and the railroad right-of-way of 1882, were both recorded at Orange County’s courthouse in Orlando. Hence the title of my new book, ORLANDO Lakes: Homesteaders & Namesakes. 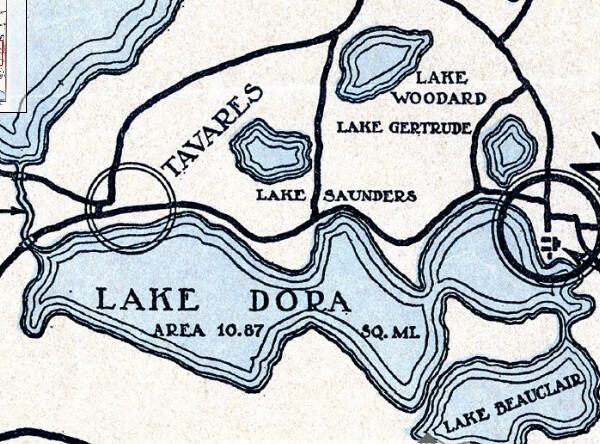 To learn more on each lake identified in bold above, or other Eustis-Mount Dora waterways such as: Crooked; Dora; Harris; Ocklawaha; Saunders; Simpson; Woodward; Lerla; Neighborhood and more, I invite you to consider purchasing my latest book on the story of central Florida: ORLANDO LAKES: Homesteaders & Namesakes, an encyclopedia of central Florida lakes, profiling the origins of 303 historic lakes from Eustis and Sanford in the north to Kissimmee in the south. 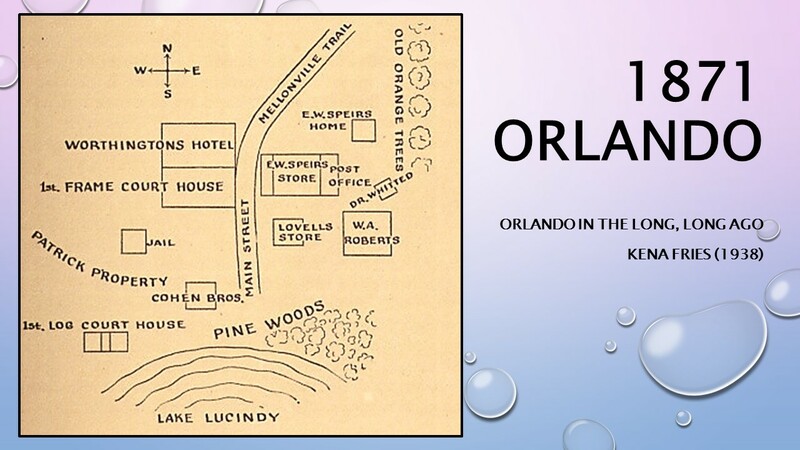 In the 19th century, all roads led to Orlando! 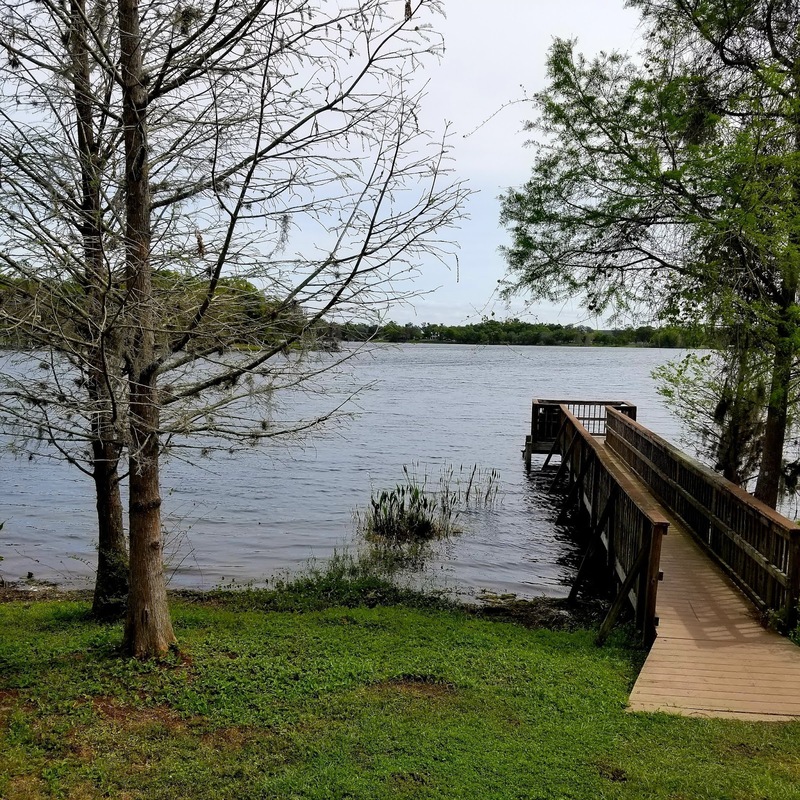 MAITLAND, FL: Away from all the hustle, bustle and noise of Maitland Avenue, west of the busy historic district of Maitland, a quiet residential neighborhood of grand stately homes overlooks peaceful Lake Sybelia. Residents have long selected this pristine lake to live on, with among the earliest of central Florida pioneers being Dr. Clement C. Haskell of Boston, Massachusetts, one of crucial organizers of the 1880 South Florida Railroad. Haskell chose to build on the south shore of Lake Sybelia in the late 1870s. Matthew Marks, in 1869, had formed a Fort Reid land agency in partnership with his brother, Richard Marks. Soon thereafter, Matthew took special notice in a town being laid out well to the south of Fort Reid, a community located at the abandoned Army fortress of 1838, a fort that had been named for Captain William Seton Maitland. Severely wounded at the Battle of Wahoo Swamp, Captain Maitland was discharged and allowed to return home. His injuries however were so intense that Captain Maitland only made it as far Charleston, SC, where he died, August 19, 1837. 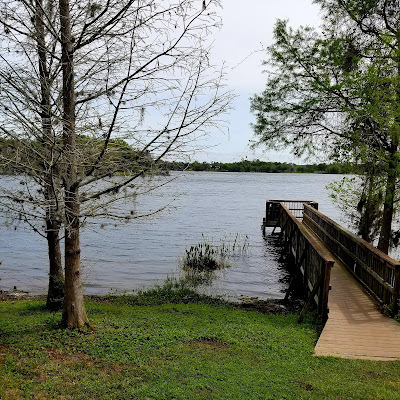 According to military records, “he drowned himself during temporary insanity caused by wounds received in Florida.” A year later, a lake and the fortress established alongside that lake were both named for Captain Maitland. Founded in January, 1872 by Christopher Columbus Beasley, the town of Maitland was established on the shore of Lake Maitland, and Beasley’s town quickly became one of central Florida’s first community’s to attract snowbirds. Northerners bought acreage at Maitland to escape harsh winters, knowing they had to travel 16 miles south on a dangerous trail, crossing Soldiers Creek, passing by Ten Mile Lake and then getting safely around Rattlesnake Lake, all before arriving at their winter cottages. 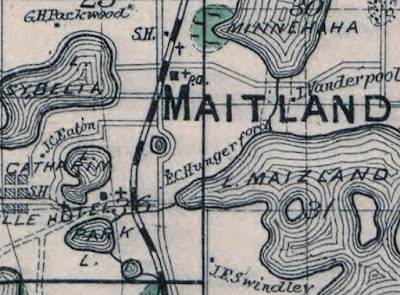 The town of Maitland did not have train service until the summer of 1880. Life in 1870s central Florida was a daily challenge to each and every pioneer, but living in the backwoods of Orange County was especially challenging for women. Long before advancements in medicine, childbirth was very often a life-threatening experience for the infant, mother, and at times, both. Lake Sybelia remains a memorial not merely to Anna, a courageous frontierswoman who died at Maitland days after childbirth, but to all of the amazing frontierswomen who ventured into 19th century central Florida knowing full well the risks that came with living in Florida’s remote wilderness. But I cannot claim to have learned of Anna Sybelia (Hill) Marks and her tragic 1873 death at Lake Sybelia on my own. Her discovery came while I partnered in researching Matthew R. Marks with another central Florida historian. Several years back, Christine Kinlaw-Best of Sanford Historical Society and I shared in a research project, and among her finds was the obituary of Anna Sybelia Marks. Matching dates to my property records of Matthew, records establishing he owned land bordering the east side of Lake Sybelia, and in learning of the earliest known date of the lake’s naming, the combined research led us to the conclusion as to how this lake had been named. Our goal was to publish a biography of Matthew R. Marks, but before we could make that happen, central Florida lost a great researcher and historian. 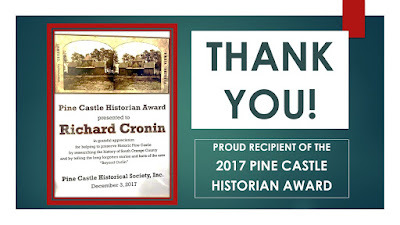 Christine Kinlaw-Best deserves special recognition for her never-ending contributions to central Florida history, as well as to her discovery of Anna Sybelia’s obituary. To learn more on each lake identified in bold above, see Orlando Lakes: Homesteaders & Namesakes below. ORLANDO LAKES: Homesteaders & Namesakes, is an encyclopedia of sort of central Florida lakes, short stories telling of the origins of 303 historic lakes from Eustis and Sanford in the north, to Kissimmee in the south. During the 19th century, you see, all roads led to the county seat at Orlando! Would you like to know more about Maitland? I do not insert cookies in any Blog.